Managing, tracking and replenishing cleaning consumables and supplies is often a sore spot for most office and building managers. 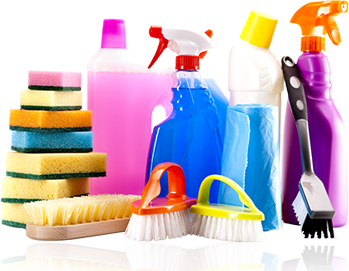 With Eco Cleaning’s Consumables Management services, that’s a pain that simply goes away! Our diligent tracking and monitoring of your supplies, means that you no longer need to manage your consumables inventory any more. Through a carefully planned series of visits throughout your facility, we ensure that consumables running low are topped up or replenished in time, so that you never run out. The result: Your staff are relieved of this tedious job, and left free to focus on more productive work instead. While the range of products we track and replenish as part of our Consumables Management program is vast, our experience shows that most commercial property managers seek our assistance managing supplies such as paper towels, urinal blocks, air fresheners, toilet seat covers, trash can liners, toilet tissue, feminine hygiene products, hand soap and much more. Our Consumables Management support enables property managers the ease of monitoring, tracking and replenishing supplies, without shouldering the additional, and often costly, burden of the employee overheads usually associated with such tasks. Our studies indicate that an average client spends less than 20 minutes ordering supplies from our website. And when you compare that time to the time taken to monitor, order, receive, stock and replenish such supplies by themselves – all over their premises, its understandable why our clients prefer Eco Cleaning’s Consumables Management service instead! Our Consumables Management monthly billing plan makes it convenient for facility managers to monitor and track what they pay for consumables, in addition to other cleaning services that we deliver. And the best part is that you are never locked into multi-year contracts. Clients can cancel a service by simply providing us written notice 30 days prior to cancellation. Bundled Janitorial Services – How much more flexible can it get! All of your janitorial service needs can now be bundled together into a neat little package! Building maintenance fees and janitorial services costs are some of the biggest cost-concerns for facility managers and commercial property owners. If you have multiple janitorial service needs, you should ask us about our innovative Janitorial Bundles that include a full array of services that might prove extremely cost effective for you. When you also bundle Janitorial Cleaning as part of our other Facility Services offered to you, you could shave off up to 10% of your Facility Maintenance costs – and that’s just the beginning! We are a full service facilities cleaning solutions provider. Our full range of services include Window Cleaning, Green Cleaning, Hard Floor Care Solutions, Pressure Washing Services, Restroom Sanitizing, Medical Facility Cleaning, Carpet and Upholstery Cleaning…and a lot more! We’ll not only expertly manage and maintain your property assets – from the inside and the out – but we’ll guarantee you and your staff, customers and visitors a safe, clean, healthy and welcoming environment every time. Bundle your Janitorial services with us…and save a Bundle! Phone us at (416) 871-0905 today and get more information about how we can partner with you. We are your Commercial Cleaning Company offering you a complete array of Building Maintenance Services throughout Mississauga, Oakville, Etobicoke, Burlington, Niagra Falls, St. Catharines, Stoney Creek, Welland, Grimsby, Hamilton,.